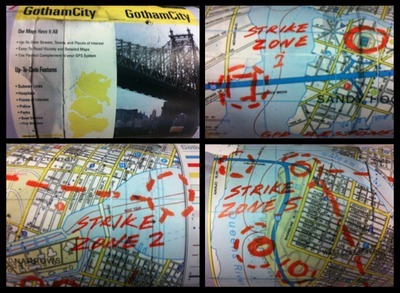 The Dark Knight Rises - the entire Dark Knight trilogy - is about patterns. It’s about networks. It’s about matrices, links, dialogues, nodes on a map. It’s about echoes between those terms, and the way those terms define themselves in relation to each other, and can shift, and change places. It’s not just as a comment on capitalism that Bane’s men raid a stock exchange, and Bruce ponders the trades they were making. Just as Batman Begins (2005) suggested that Scarecrow’s use of fear as a weapon was no different from Batman’s, and The Dark Knight (2008) ramped up the stakes by asking what, if anything, separated Batman’s counter-terror measures from Joker’s terror, so The Dark Knight Rises is about the fragility of definitions, the limits of structures, the illusion of binary oppositions. The movie stresses conditions of birth, upbringing and social class - how characters are raised, how they rise in life - but it also suggests that they can free themselves from those structures, and fall, and change places. Bane, ‘born and raised in hell on earth’, climbs the ranks of the League of Shadows to become inheritor and leader, but is ultimately revealed as a foot-soldier, a bodyguard to Talia. Bruce, born in the Regency room of Wayne Manor, becomes imprisoned by his privilege, loses his fortune and falls (‘From Billionaire to Bum’, says the headline), and is free to remake himself as a nomad, a no-man, just as he did before becoming Batman in the first film. The chant we associate with Bane from his first appearance (as the plane falls and he rises into the sky, in an echo of The Dark Knight’s skyhook scene) is repeated for Bruce as he makes a leap of faith from the prison pit. The Dark Knight Rises plays with language, and the way words shift their meaning, to echo its broader themes about characters as pawns on Gotham’s game-board, caught up in patterns of trade, exchange and capture. Just as Joker wanted to ‘watch the world burn’, so Bane is initially linked to the phrase ‘fire rises’; but it’s Batman’s signal that later rises in a burning brand over Gotham, ignited by a flare in an echo of the National Anthem - ‘the rockets’ red glare’ - and offering proof of his return. During the street battles that conclude the movie, Bane declares ‘open fire’, almost bored of the games he began; Talia promises Bruce he will ‘feel the fire of twelve million souls’, and Bane, about to murder his nemesis, tells him he will have to ‘imagine the fire’. But his last word also has a double-meaning: Selina treats it as a command and launches the Bat-pod’s missiles directly at him. Even apparent death can be a form of rebirth and baptism through water - Gordon plunges into the sewer to save his own life, Blake swings through a waterfall and rises as as a new Batman - while Batman, of course, ‘dies’ in Gotham Bay to give Bruce Wayne his freedom. But just as Miranda Tate, changing her name and becoming a US citizen, still inherits her father’s mission and is motivated by family duty, so the film suggests that a clean slate - the ability to be ‘gone from every database on earth’ - may also be a myth. Bruce seems to be safely out of the game as he sips his coffee in Florence, but Alfred and Lucius know he’s alive. Selina, sitting opposite, is still wearing the Wayne family pearls - symbolically shackled to Bruce’s history, even if she’s escaped her own. Cutting yourself off cleanly is impossible, and perhaps it’s not the answer. 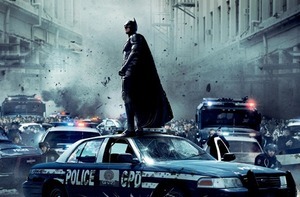 The Dark Knight Rises is part of a broader tapestry. It weaves in strands from The Dark Knight and Batman Begins, of course, but the trilogy also refers to other movies - Serpico (1973), Metropolis (1927), Blade Runner (1982), The Godfather (1972) - and to the broader matrix of Batman texts, including video games, comic books, and previous films by other directors, such as Burton’s instalments of 1989 and 1992. The elegiac scene of Batman’s sacrifice even seems an affectionate reference to the 1966 Adam West movie: ‘some days you just can’t get rid of a bomb’. 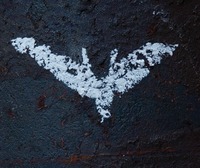 No reboot, as Nolan accepts, can wipe the slate completely clean; instead, The Dark Knight Rises takes its place in the 73-year history of Batman, speaking back to the past as it will shape the character’s future stories, and it is all the richer for its embracing of ambiguity and its refusal to offer easy answers. To Nolan’s credit, his film joins a longer, ongoing dialogue about the Dark Knight, rather than trying to have the final word. Dr. Will Brooker is the head of the Film and Television Department at Kingston University; his most recent book is Hunting the Dark Knight: 21st Century Batman. This article was published on July 25, 2012.